You might just think I’d be tired of watching and reviewing all these antique and collectible TV shows — so tired of them, in fact, that I’d be dreading yet one more. But if that’s what you were thinking, you’d be wrong; Discovery Channel’s Oddities has become a favorite “can’t miss” in terms of my television viewing. 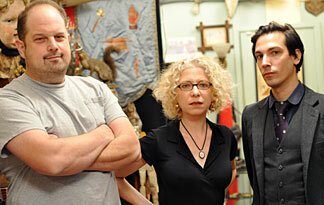 On Oddities, we watch the on-goings of the owners (Evan Michelson and Mike Zohn) and staff (Ryan Matthew and Ersan, intern aka The Cerd) of Obscura Antiques and Oddities, a shop located on New York City’s East Village, dedicated to “the weird world of strange and extraordinary science artifacts.” Here you’ll find the more eclectic and shall we say less mainstream antiques and collectibles, such as antique medical devices, anatomical art, sideshow relic taxidermy. An ancient Egyptian mummy hand — which is notable alone for the one time in one of these shows I’ve seen the expert put on gloves. Plus, we hear from that museum professional that his coworker actually has a taste test for authenticating mummies; too bad she wasn’t around that day. But even if it is authentic, is it legal to sell? …Oh, now that’s another interesting turn. Rachel Betty Case brought her “human ivory” artwork — made from human fingernails (well, and toenails, and pet nail clippings); which I found fascinatingly beautiful. A guy who wants a bug to scare his wife with; another man who wants the perfect creepy dental gift for his retiring dentist friend. I’m not sure I even want a two-headed cow or four-footed chicken taxidermy piece… But if I did, I now know better how to tell if such a thing is due to an animal with an authentic genetic defect and not some fake. And Laura Flook, embalmer turned model come fashion designer. Yup, you read that right. Flook is at Obscura looking for a mortuary table for her fashion shoots. As Ryan says, “One interesting thing about Laura is her devotion to art whether it’s a mortician, model or a clothing designer.” So devoted, yet this designer of clothing inspired by Victorian-era mourning wear is dreamily flabbergasted when she returns to Obscura in another episode to discover corsets. Admittedly, one of the medical corsets is not the normal corsetry that springs to mind; but she buys one that I’ve got in my own collection. This Flook is fascinating to me… The way she talks, everything. I hope she returns in future episodes. Along the way there are also various circus performers (sword swallower, escape artist, etc. ), theatre folk (an unusual playwright, a performer who uses blood to increase the drama), and some more mainstream celebrities (not unusual given the name dropping at the Discovery Channel’s site). Oh, and yeah, there are the collectibles too. 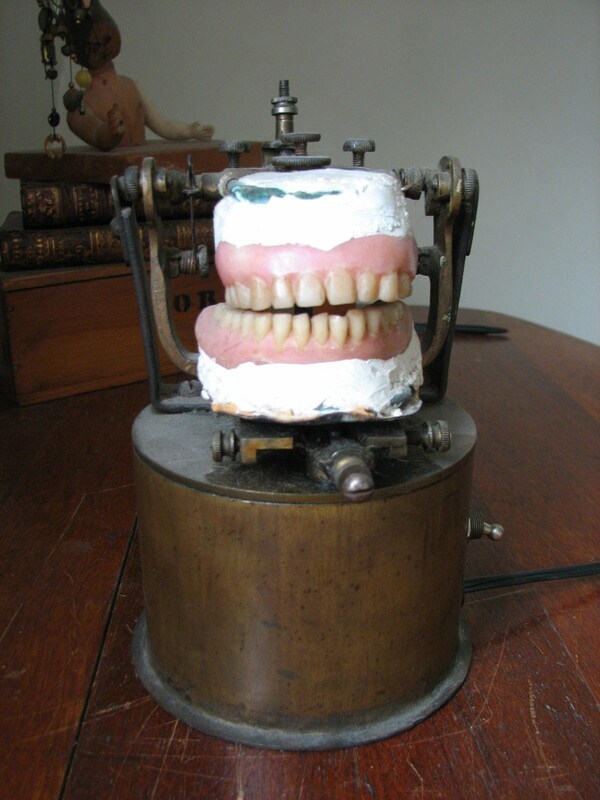 From horrifying medical implements to medical quackery devices, from odd little vintage toys and masks to coffins (cradle to grave, I tell you! ), and other assorted (or is that a-sordid?) pieces of history. Another great feature of this show is it’s ability to leave the shop. It’s because of that we not only see the great lengths the staff goes to in order to procure an object for a collector, but we see the fabulously odd collections of others. That’s something missing from most of these shows. But with this Oddities, you definitely come for the surprises. 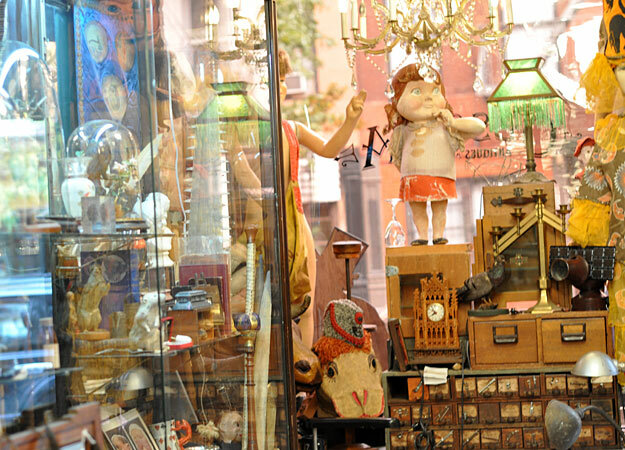 Even if you come for the antiques and collectibles, you’ll find your intrigued by a lot more; and that’s a surprise too, right? Because the items themselves are more dramatic, the majority of clientele themselves more interesting, there’s no need for the cast to be fraught with personality dramas, or for the show to bilk the monetary value. (Honestly, this is one area where the prices seem too low to me; the items are that, well, obscure!) So while this is part of the same genre of collectibles programming, it’s not quite the same trite formula. And it’s done absolutely right. Oddities can be seen on Thursdays at 10:30 p.m. E/P on the Discovery Channel and also on its sister channel, the Science Channel, Wednesdays at 9 & 9:30 PM E/P. Join me in watching it — at least once!